I grew up and have lived in Louisiana most of my life and now live on one of the highest elevations in New Iberia (25 ft.) part of the year and Sewanee, Tennessee (2,000 ft.) the other part. I find it strange when “Sewaneeans” say “I’m going down to the Valley to shop,” and they’re referring to several towns, the peak elevations of which rise 1,000 ft. Now that I live during the spring and summer on The Mountain, the elevation of a town like Cowan, Tennessee, which peaks at 954 ft., doesn't seem to be much of a valley. At the western base of the Cumberland Plateau, which juts out in ridges that create small valleys, stands the town of Cowan, which drains via Boiling Fork Creek (a dry bed the first year I glimpsed it), a tributary of the Elk River. I love to drive through the little town on the way to Winchester, Tennessee for groceries, and I don’t ever remember much water running through Boiling Fork. I’ve experienced perhaps two downpours while shopping near Cowan. 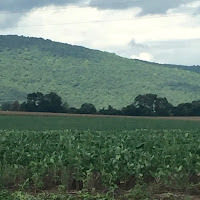 Many of my poems include the landscape and vegetation of the Valley where corn, soybean crops, pastures of yellow rapeseed, and rolls of hay dot the fields. 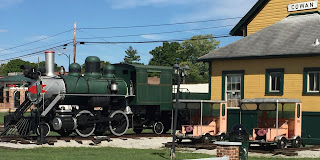 ed trains to climb the steep ascent to the Cumberland Plateau, and are still being used today. When I pass the station on my trek to Winchester and see the engines, I wonder if they were the prototypes for The Little Engine That Could, a children’s classic with a moral about what a positive attitude can do for a machine (or a human) wanting to achieve success. It was a book popular during my childhood and is still found in most contemporary libraries. 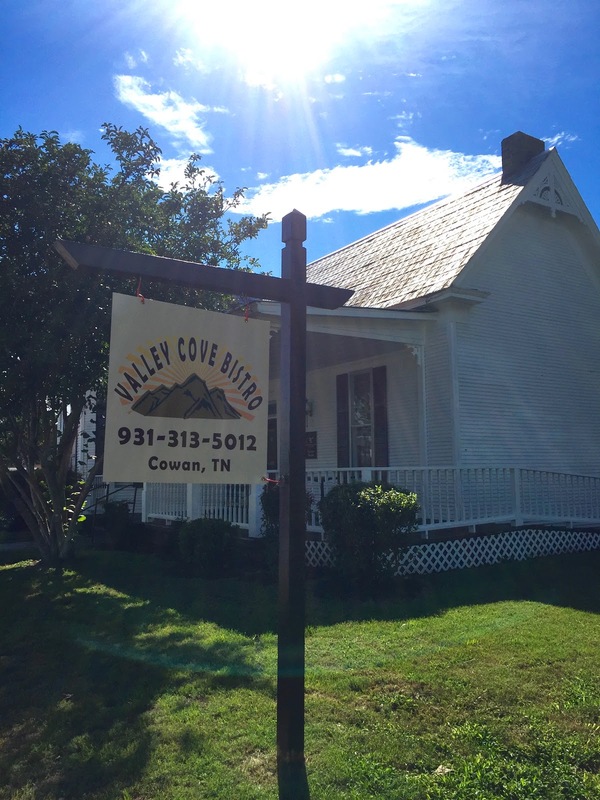 Last week we stopped at a renovated restaurant renamed “The Valley Cove Bistro” in Cowan and discovered an excellent menu for a restaurant in a small town of 1,770 people, including classic French Onion Soup, the original Corner House (former name of the restaurant and a Tennessee Back Road Heritage property) Gazpacho, Grilled Salmon and Cucumber Wrap, and Apple Rose Puff Pastry (the latter filled with Maple Custard served with Vanilla Bean Ice Cream). I asked about the Chef and was told he’s a native of the Valley area. 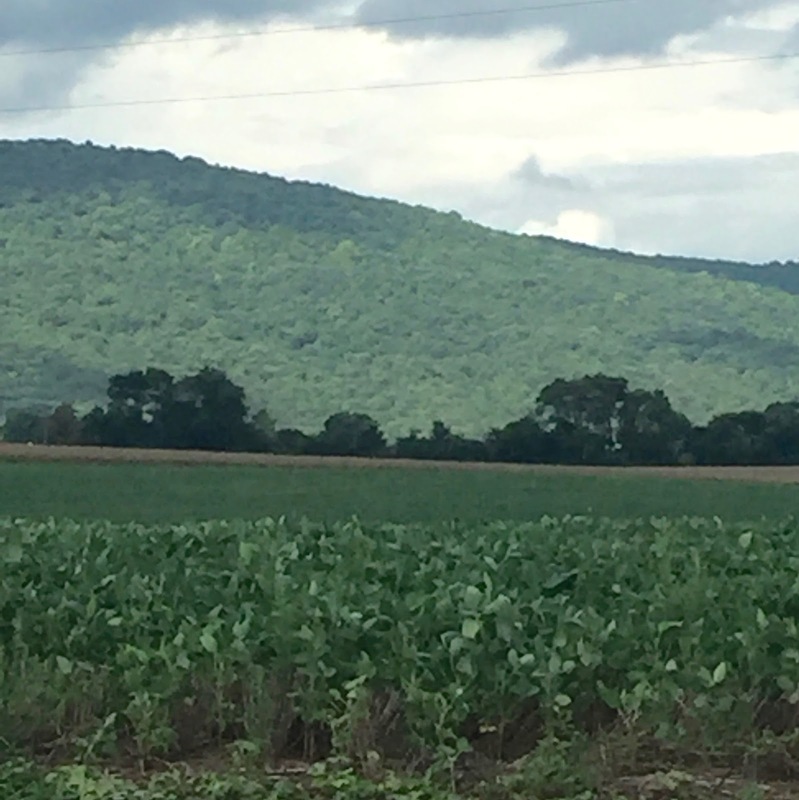 Further down the road in the Valley, we stopped at a fruit and vegetable store supplied by Amish farmers from Lawrenceburg, Tennessee and purchased ears of sweet corn, a cantaloupe the size of a watermelon, and home-grown tomatoes. The store was attached to Lapp’s Greenhouse, a nursery where we’d bought herb plantings earlier this summer, and which have survived the drought. I read that one of the characteristics of a valley is “low land” and that most of them are deep and narrow, but this one must be an old one because it isn’t steep sided like younger valleys still being uplifted to create mountains. When we travel home from the Valley, we often try to guess how many degrees cooler the temps are at the higher elevation of The Mountain, and today The Mountain proved to be seven degrees cooler. However, I hasten to mention a major advantage of living in the Valley: real estate is $100,000 cheaper down below than on The Mountain! The main thoroughfare of Hwy. 41A running through Cowan is lined with lovely homes and businesses housed in quaint buildings that were built during the town’s heyday when the railroad came through. This morning following a heavy rain yesterday, I went to the French doors in the living room and opened them to discover a brilliant cardinal sitting under a table on the porch. He flew up and away when he heard the door open, which symbolized for me that his upward flight spelled good fortune for my house. And I heard “ere he flew out of sight,” a familiar “cheer, cheer.” I chose to accept that message from the State bird of Kentucky, Illinois, Indiana, North Carolina, Ohio, Virginia and West Virginia. 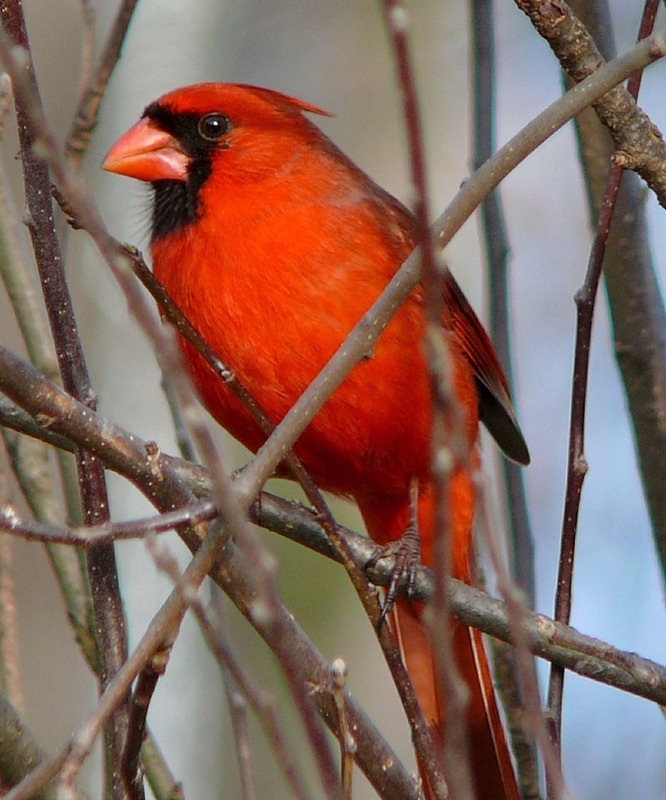 A year-round resident in any environment, the cardinal is a family-minded bird, and both male and female care for the young until they leave the nest. 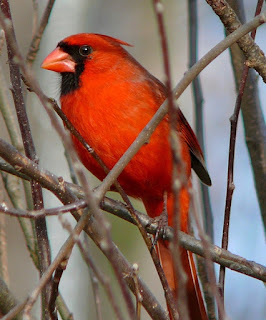 A notable aspect of the male’s color is that he changes from a brilliant red to mousy brown to match his wife’s color and to serve as camouflage when they are parenting, so that both of them are known in the bird world as being in the process of raising their babies. I’ve never glimpsed this phenomenon, but I know a few parents who could take a lesson in caretaking from the cardinals! For Christians, cardinals symbolize the cross, but for Mexicans, it is also emblematic of Quetzalcoatl, lord of the four cardinal points from which the wind blows. The cardinal’s feathers link it with fire, vitality, and passion -- three qualities consonant with a long life of creativity. During my childhood, I was given a book of birds with color photographs printed on linen paper that I prized. When my mother read to us at night, the bird book with the photo of the cardinal became my favorite. 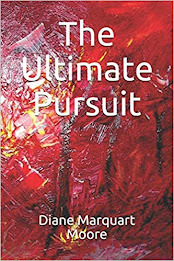 On a trip to California, I was transporting the book, among many other cherished volumes from my childhood, for my grandchildren to put in their library, but four boxes of them were stolen from the van at a stop in Albuquerque, New Mexico. Those thieves didn’t know what was stored in the boxes, or they would’ve left them behind and taken only the Gameboy, computer, and tapes for the Gameboy, but, to me, the contents of those boxes held an entire happy childhood. dazzled by the bright color. The little strip above is one created by Paul Schexnayder of New Iberia, Louisiana for a book entitled The Kajun Kween that I wrote a few years ago about Petite Marie Melancon who became the superheroine in a comic strip. I’ve loved comic books since The Golden Age of Comics (1930-1950) during my early childhood. I did my share of trading them on the front porch of my home on Birch Street in Baton Rouge, Louisiana: Batman, Superman, Wonder Woman, Captain Marvel, and, of course, Dagwood and Blondie. And when I was six, Archie appeared. Wonder Woman hung around until 1953 during the Silver Age of Comics, but probably my favorite comic strip featured a character to which my Dad introduced us on Sunday mornings – Popeye. To this day, when I hear the word “hamburger,” I automatically think of Wimpy, the character in the comic strip who loved hamburgers, which my father called: “catheads.” I’ve even written a book of doggerel about my childhood that includes a poem describing my father reading the Sunday comics. The poem appears at the end of this blog. Actually, comic strips were banned by many of my elementary school teachers. They regarded them as presentations of violent characters and felt that the reading matter was so abbreviated, it wasn’t enough to educate young minds. Several teachers vetoed characters like Captain America who punched out the Nazis. However, at school assemblies we sang all the WWII songs and followed the fighting on large maps with pins showing major victories in Europe. I can’t remember any pacifists during my childhood. And Little Orphan Annie even fought Nazis who appeared in the comic strip about her WWII activities. A revival of comic book superheroes has exploded due to the film industry creating films about Spider Man, Batman, and Super Man, but Wonder Woman hasn’t kept pace with the male superheroes. I might be seeing just a comic book bubble, but I’m betting on the continuing popularity of comic books because there’s a shortage of superheroes in the postmodern world. Unfortunately, I don’t have one comic book in my library to pass on to my grandchildren and great-grandchildren, but once they see their first superhero movie, they’ll probably be among those haunting the bookstores and news stands, searching for a comic book about the archetype characters who appeared in the Golden Age of Comic books. his voice ascending on floating word balloons.